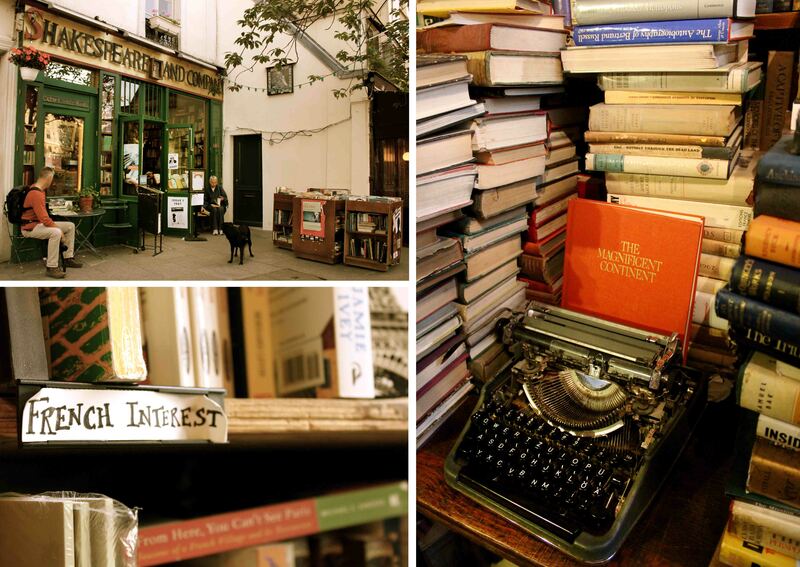 Shakespeare and Company, Paris, 2010. Been enjoying reading about French culture, and interested in learning more? Below is a fun shortlist of books and websites on the subject. Of course, there are a lot more out there, but I only feel comfortable recommending ones that I’ve actually read and enjoyed. As a bonus, if you click through to Amazon directly from this page to place your order, you’ll also be supporting my blog at no extra cost and helping to keep me in baguettes and cheese for a little while longer, since I get a small percentage of all sales generated via this webpage. Bookshelf detail, Shakespeare and Company, Paris, 2010. This pithy, fun, “anthropological” approach to defining that infamous creature, the Parisian, literally had me laughing out loud while I was reading it in the métro (I’m sure I attracted more than one disapproving sideways glance from said Parisians themselves). Anybody who has ever lived in Paris, whether expat or “authentic” Parisian, will delight in this light-hearted and hilariously accurate lampoon of the people who inhabit the City of Light. Parisian author, food critic and proprietor of the wine bar O Château, Olivier Magny waxes eloquent on the subject of “stuff Parisians like”, such as wearing black, the Chinese, complaining and speaking “English”. The idea for the book was originally born out of Magny’s blog, Stuff Parisians Like (for more history, click here). It’s available in French under the title Dessine-moi un Parisien (a reference to the famous line “Dessine-moi un mouton” from Le Petit Prince) and in English under the title Stuff Parisians Like. I recommend reading the French version if you can, but either way, you’re guaranteed a good laugh, c’est promis ! A friend bought me a copy of this book after my first trip to Paris and it’s remained one of my favourites in the “Parisian life” genre ever since. It’s a sweet and funny compilation of stories and anecdotes told by a woman who immigrates from Australia to France. In it, she chronicles her various encounters with culture shock and the adjustments she has to make along the way. One of my favourite moments is a heated argument she has with her French husband, when he insists that she can’t possibly go out to the bakery dressed sloppily in “pantalons de jogging”… because it’s “not nice for the baker.” A fun read and a charming portrait of life in the City of Light. The first time I read A Year in the Merde, I actually remember not liking it. The overall tone was so acerbic and the circumstances in which the main character found himself seemed really over-the-top. Then, desperate for English reading material, I read it again after five months of living in Paris – and was astounded to discover that the second time around, it was hilarious. I think it helps that I now have a bit of context in which to place the neighbourhoods he talks about, and have experienced enough of life in this city to realize that the absurd situations he finds himself are not over-the-top at all, but rather, just an accurate reflection of the absurdity that sometimes is Parisian expat life (okay, well mostly, anyway). So I’d recommend this book to people who have already had some experience living in Paris. Yet another gift, this book was given to me two days before I moved to Paris, and kept me captivated during the plane ride over and my first couple of weeks here. Written by an Englishman, this non-fiction guide for expats contains countless hilarious and informative cultural tidbits of information, as well as some instructional guidance for foreigners, including Oh, la, la! – how to gesticulate and exclaim and Le serveur – how to deal with waiters and find the loo. I highly recommend it for anyone contemplating a move to France. A compilation of short stories and anecdotes about life in the south of France, taken from the author’s French Word-A-Day website. Every chapter starts off with a helpful vocabulary of new French words and expressions. Since all of them are then incorporated into a subsequent story, the context makes them easier to remember. Of particular interest to those who might be learning the French language. This heartwarming and hilarious French-language collection of stories told from the point of view of a little boy named Nicolas has been a long-adored favourite among the young and old in France since the 1950s. Reading about the adventures of Nicolas and his classmates was an easy and pleasant way to practice my French reading skills back when I was taking classes in Toronto. The language is simple enough that a beginner to intermediate French-level speaker can handle it, but the stories are so entertaining that even adults will delight in them – I laughed out loud on more than one occasion. I like that each story is only four or five pages long, so you can get through one in the fifteen minutes before bedtime and still feel a sense of accomplishment. If you’re looking to encourage a child enrolled in French immersion or an adult studying French as a second language, Le Petit Nicolas (and its many sequels) are a pretty good bet. 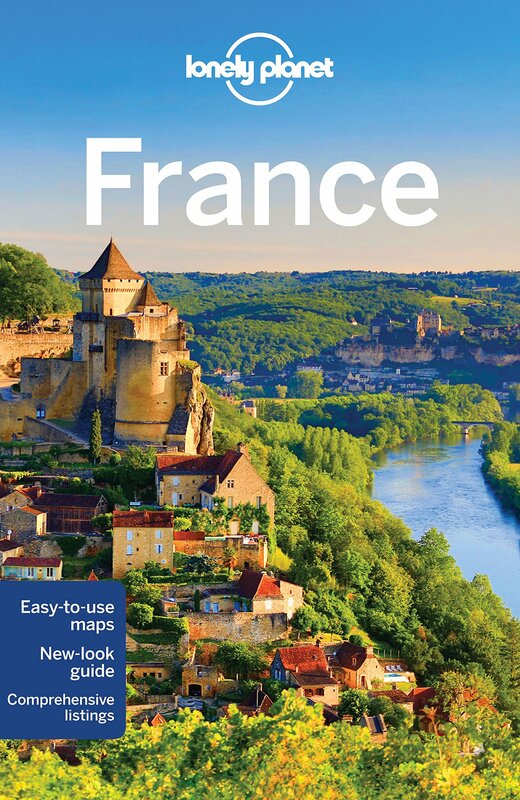 More informative than entertaining, this guide contains a lot of practical information for foreigners thinking about, or planning to, live and work in France. A wide range of topics is covered, including Finding A Job, Employment Conditions, Permits & Visas, Health, Insurance, Finance, etc. This box set contains 50 cards with maps outlining different walks you can take through various neighbourhoods in Paris. Each card contains one complete walk, with a street map on one side and a guided description on the reverse. Individual cards can be easily pulled out and and slipped into a bag or purse for an afternoon adventure. From Amazon: Once you’ve ooh-la-la’d your way around every charming Parisian boutique, garden and cafe, the rest of France is ready to step up to the plate. Get our latest guide to France and you’ll be winding through the fairytale Loire Valley, skiing in Chamonix and blissing out on mind-blowing cuisine in Paris. There’s a reason why France remains the most popular tourist destination in the world. 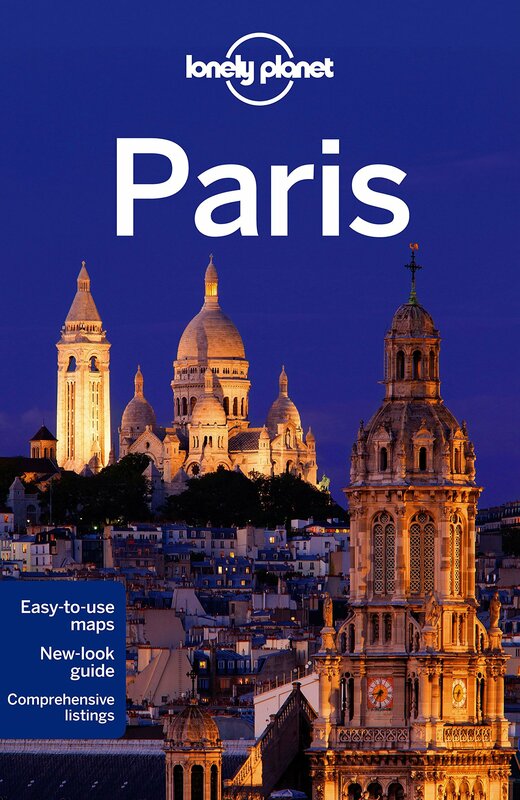 This new edition includes full-color guides with 3D illustrations of the Louvre, Notre Dame, Palace of Versaille, Monte Carlo Casino, Mont St-Michel and the Vieux Port in Marseille. This guidebook has been fully updated! * Intuitive layout and new text styles make it easier to read, scan and find information at a glance * New visual design and structure improves navigation without sacrificing depth or quality * Expanded planning section helps travellers plan by time, season, interest or region * New map design improves map legibility for easy navigation. A fun resource for those currently living in Paris, the Haven in Paris blog is written by Erica, Genevieve, Maggie and Tory, and covers a range of topics related to life in Paris with a generous dash of tongue-in-cheek humour about French culture thrown in for good measure. Some of my favourite posts include Paris’ Hidden Gems: Secret Movie Locations (which also features photographs taken by my friend Lisa Weatherbee! ), Friend or Foe? How to Cope When the French Get Feisty and Cult of Quality: Meeting the French Standard. If you’re looking to “Frenchify your life”, no matter where you’re living, the Francophilia Gazette is the blog to add to your list of daily must-reads. The website regularly publishes whimsical updates and fun tidbits on French life, French culture and the French language. A recent favourite: “Learn French in One Word”. Anyone who has ever spent any length of time in France will definitely enjoy this one, though I’ll warn you, it’s not for delicate ears. You might want to send the kids out of the room first before watching it! I have a serious thing for both food and idiomatic expressions, so I LOVE this blog. Since it is also wildly popular with a many other people trolling the internets, I’m clearly not the only one. Chocolate & Zucchini is written by Clotilde Dusoulier, a 31-year-old Parisian woman who lives in Montmartre and shares her passion for all things food-related – thoughts, recipes, musings, cookbook acquisitions, quirky ingredients, nifty tools, restaurant experiences, ideas, and inspirations. My favourite section is the list of food-related French idioms, which not only lists each idiom, but contains a detailed description of its meaning and origin, an example of how it is used, and an audio file so the reader can hear how it sounds. Perfect for language nerds/foodies like myself! French Word-A-Day is written by Kristin Espinasse, an American woman raising her French family in Aix-en-Provence and carrying on a lifelong love affair with the language. Entries are posted three times a week and each one is preceded by a little French vocabulary specific to the story of the day. Yes, it’s girly. And yes, it’s awesome. I was wondering if you would include A Year in the Merde. :) I judged a kid doing a reading from it at a public speaking competition, and it was the only reading that inspired me to seek out the book, not to mention the only one in that particular room to get out-loud reactions from the audience — laughter, in this case, genuine, not polite. I would also recommend The Traveller’s History of Paris. If you love mysteries, I would recommend the Aimee Leduc mystery series by Cara Black. They have certainly intensified my interest to visit Paris… soon! Thanks Erica. I do enjoy your posts, I’m always excited when there’s a new one up! Don’t worry, your blog list wasn’t deleted, it just got caught in the spam filter for some reason. I found it and approved it, so your work was not lost! Thanks for the recommendations, I will check out the David Lebovitz book soon.